i have several lesbian friends who would agree. but i'm being other-worldly here. some men and spirituality seem to be a dramatic combination these days. lucky for us, FICE (a.k.a. 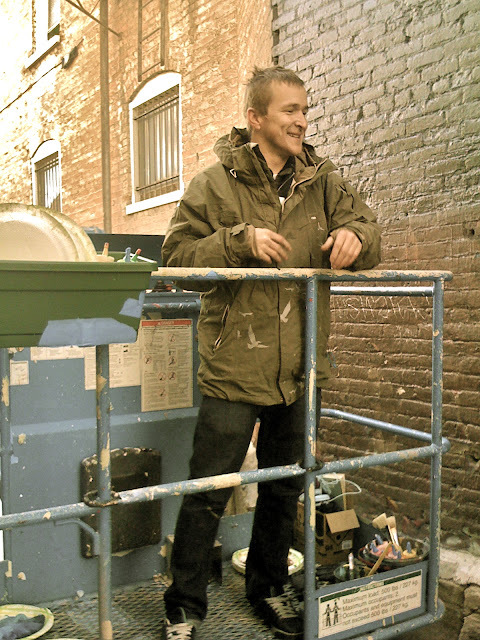 corey bullough) had the good sense to give salt lake a more feminine spiritual guide. 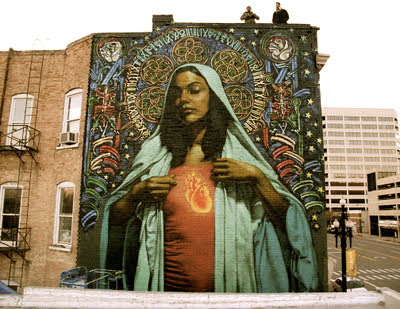 when corey commissioned artists el mac and retna to create the virgin in 2009, it was for what he called "a lack of feminine beings" represented in our city. true enough. i'm grateful we have a 44-foot, reeaaaally attractive mary to guide us down 2nd south; or from wherever else you can glimpse her. and i hope we see more of this. 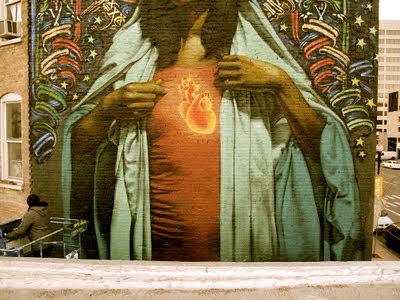 i hope more people will follow corey's example and take an interest in making salt lake more diverse in its artistic and religious expression.